Koh Lanta or Lanta Islands else Mu Ko Lanta are situated in the southernmost district of Krabi province, approximately 70 kilometers from Krabi. It stretches for 27 kilometers in the north to south direction along the western coastline of the Andaman Sea in southern of Thailand. 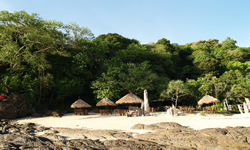 The geography of the islands are typically mangroves, coral rimmed beaches, and rugged tree covered hills. It consists of many big and small beautiful island. It is plentiful of tropical rain forest resources. Lanta Archipelago, Lanta district, Krabi province, is designated the 62nd National Park of Thailand in August 1990, and covers an area of 151.90 square kilometers or 94,937.50 rai (disintegration ground about 26.728 square kilometers and water around 125.172 square kilometers. ), 81% of them is marine. Located in the Andaman Sea, the park consists of several groups of islands such as those of Koh Rok, Koh Ngai, Koh Har(Tukonlima) and itselves (Lanta Islands). 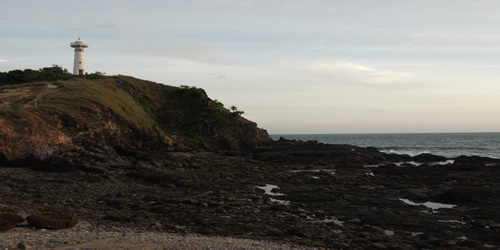 Steep cliffs with small patches of interspersed flatland dominate Koh Lanta. The area is blessed with a high bio diversity due to coral reefs. It also has many beautiful natural wonders. For these reasons, many tourists come to visit every year. Since the physical topography of the area is highly varied, with mountains, caves, streams, beaches and sea. 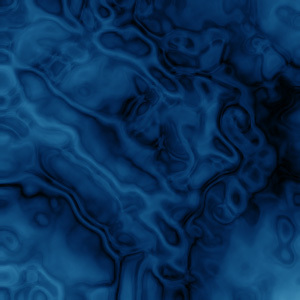 It supports several types of forests, i.e. 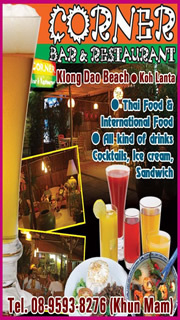 evergreen forests on southern Koh Lanta Yai and on Koh Ngai, limestone mountain forest on Koh Rok and Koh Har, beach forest on the beaches of all islands, mangrove forest, and grassland. Most of the islands are not large and as such smaller mammals are found, for example, Wild Boar, Dusky languor, Mouse Deer, Indian Civet and Squirrel. Several species of reptiles are found, most notably the Bengal Monitor and the Water Monitor, both of which can easily be seen. There are also over a hundred species of resident and migrant birds. The marine resources seen here are not only very attractive, it are extremely diverse, with an underwater ecosystem supporting hundreds types of fish and marine life, including the Whale Shark and Mantra Ray, which make this yet another important scuba diving spot in Thailand. 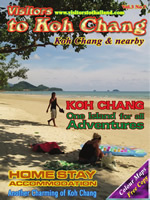 Koh Lanta consists of 52 islands of which 15 are under control of the Koh Lanta National Park. 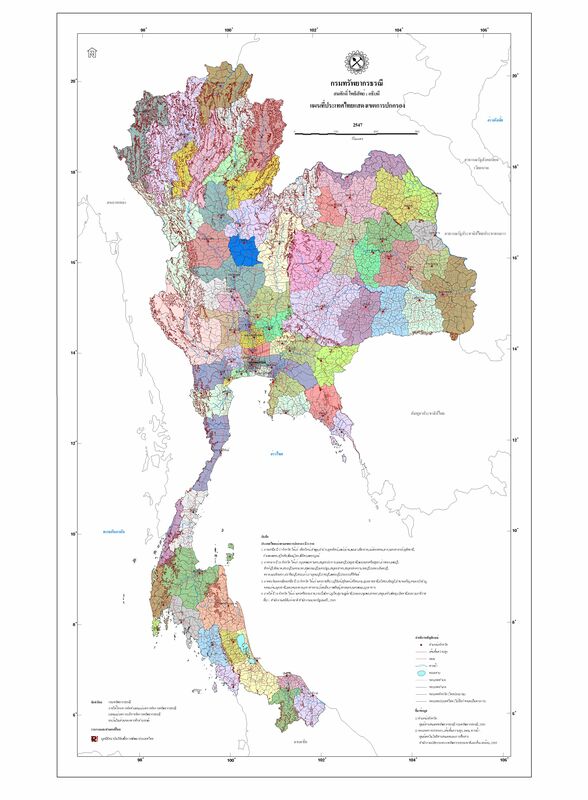 12 islands are inhabited, among those, 4 are accessible: Koh Klang, Koh Bubu, Koh Lanta Yai and Koh Lanta Noi. The two major islands: Lanta Yai and Lanta Noi. Lanta Yai (Yai means Big) is the siege of district’s headquarter and the largest island, covered with mountainous and rugged areas. 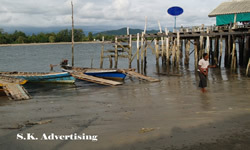 This island is the trading center and the starting point of transportation to beaches and other nearby islands. On the western coastline, the beautiful beaches and idyllic bays lie from north towards the south; some of them are gravely and others have the fine sand. On the east side, the coast is graced by the stunning white sandy beaches together with the fertile mangroves. Also, there locates the settlement of sea gypsies who still live their life in traditional style and preserve well their customs and cultures. Most of population on Lanta Island is Muslims. 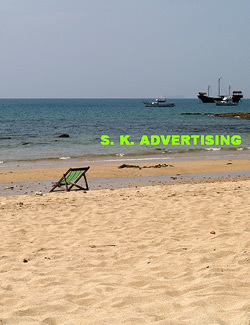 In the southern part of the island, there locates the office the Koh Lanta National Park. 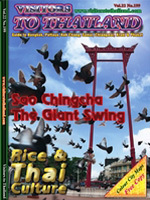 Lanta Noi (Noi means Small) is used to be a community of local people in the old days. The old life style and traditional-styled houses can still be seen in this island, offering somewhat charming atmosphere.